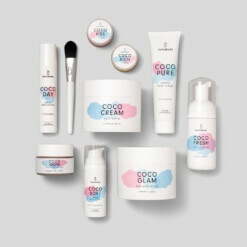 Trust us, your face will never feel cleaner, fresher, softer… or more glamorous than with the Coco Face Set. 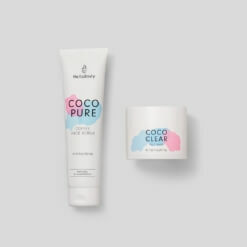 We combined our essential products together to get the best, only the best for your delicate skin. And you won’t believe the result. 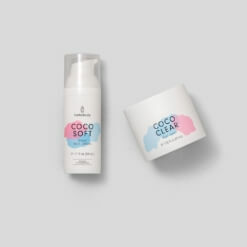 CLEANER. FRESHER. SOFTER. SOOOO GLAMOROUS. 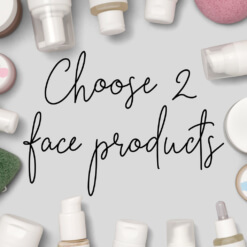 Discover the different benefits of the products in this set! 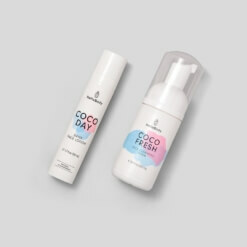 Moisturize your face every evening with our COCO SOFT night cream. 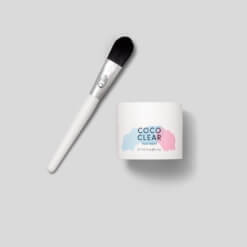 COCO CLEAR: Once or twice a week, after cleansing your face with our COCO FRESH or COCO PURE, apply a generous layer of our moor peat mask using our MASK BRUSH or your fingers, avoiding the eye area. 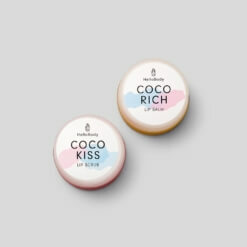 Finish by moisturizing your face with one of our targeted moisturizers.